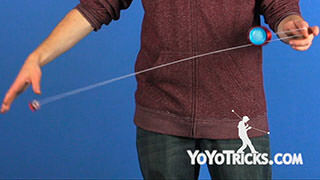 Learn how to do the Freehand trick (5A), the 360. 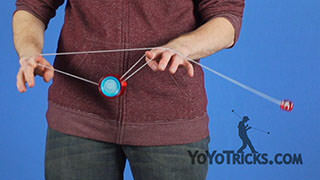 360 Yoyo TrickThis trick is called 360, it looks like this. 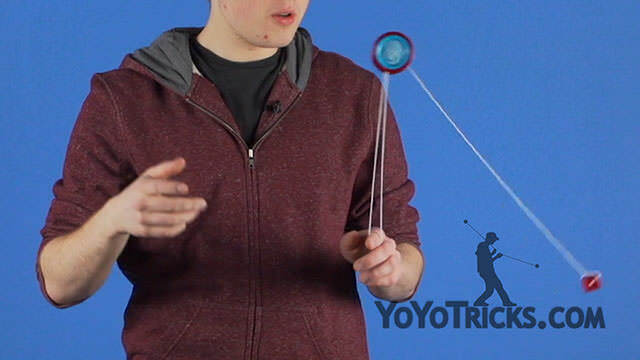 So 360 is what is known as a dependent 5a trick, which means that the motion of the yoyo is directly influencing the motion of the counterweight. 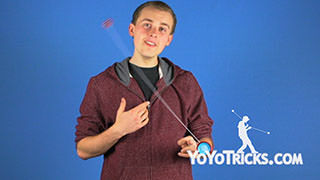 360 is also the most fundamental catch and release trick that we teach, so it is really important to master this trick because so many of the 5a tricks that we are going to be teaching on our website rely heavily on this trick. 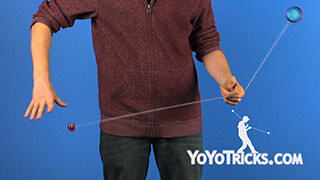 So to perform 360, first you want to start in a Trapeze and then you want to check your string proportions. 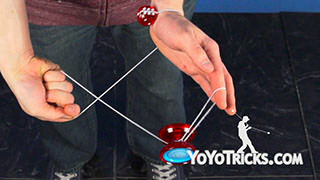 So bring your throwhand up so that the string is touching your opposite finger and you want the string above your finger to be about 3 times as long as the string under your finger. 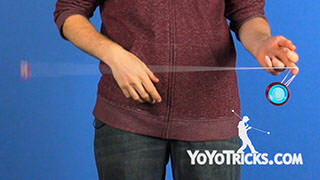 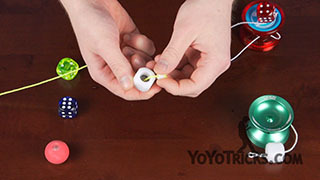 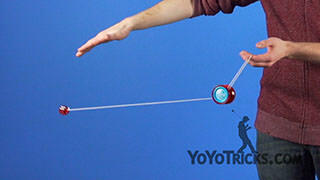 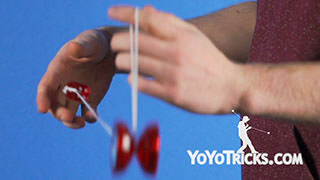 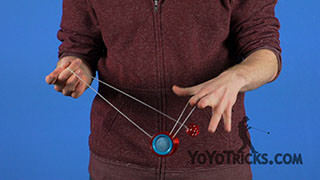 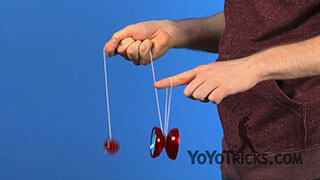 So once you have your string proportions right bring your throwhand back out and then you want to start swinging the yoyo back and forth, side to side, as the yoyo is passing under your opposite hand and as it is moving in that direction you want to let go of the counterweight and make a circle motion with your opposite hand. 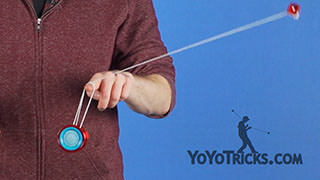 It is that circle motion that keeps the counterweight string touching the yoyo and it is what is makes sure that the yoyo comes all the way around your finger and that the whole trick works as it should. 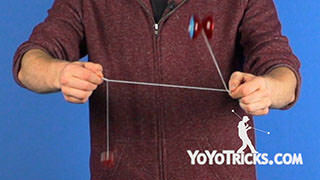 If you are having a hard time doing this you can try increasing the size of your circle, just to give the counterweight a little bit more energy as it comes around. Then you want to catch the counterweight with your palm in, just like how we taught you in our how to throw and catch a 5a yoyo and that is 360.